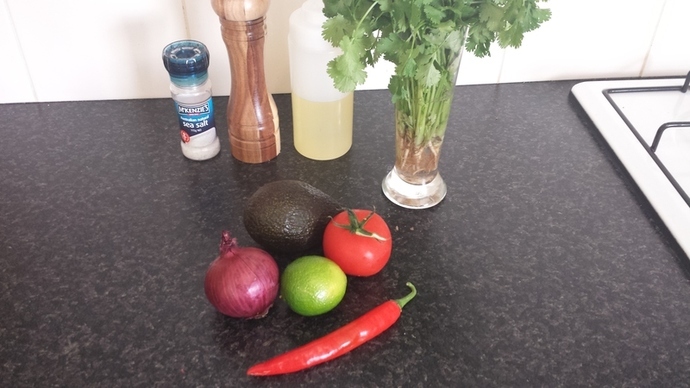 The perfect healthy dip that takes minutes to make and is a perfect accompaniment to so many different dishes. 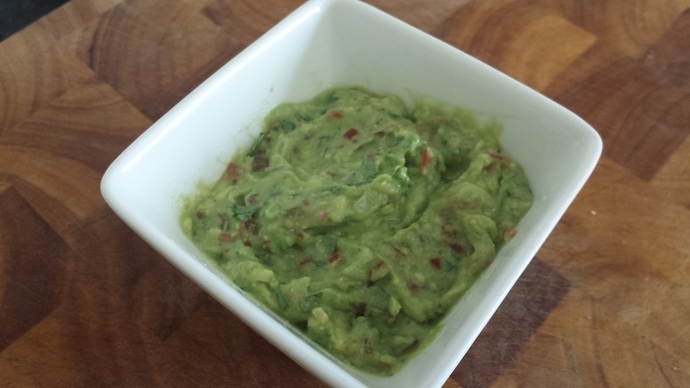 I love Guacamole! 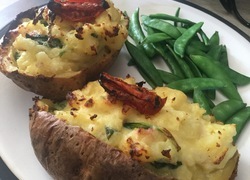 Its so easy to make and its healthy too. 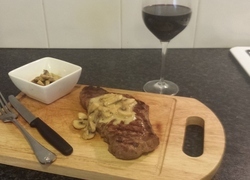 With summer in full swing now, this will make a great accompaniment to chips, nachos and more. 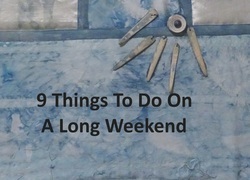 A few tips to make this as awesome as possible. 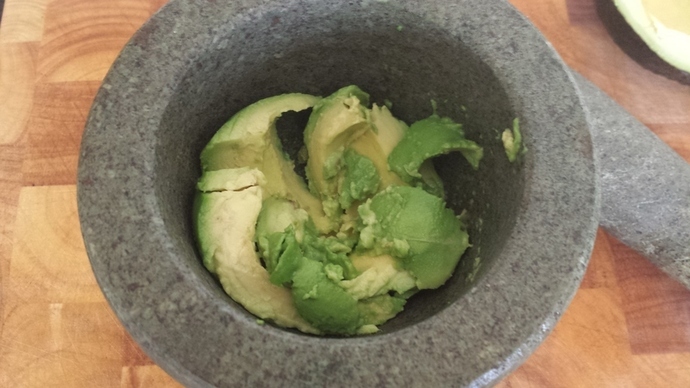 To keep the beautiful green colours, keep the avocado stones in the dip and remove just before serving. Use only fresh products. 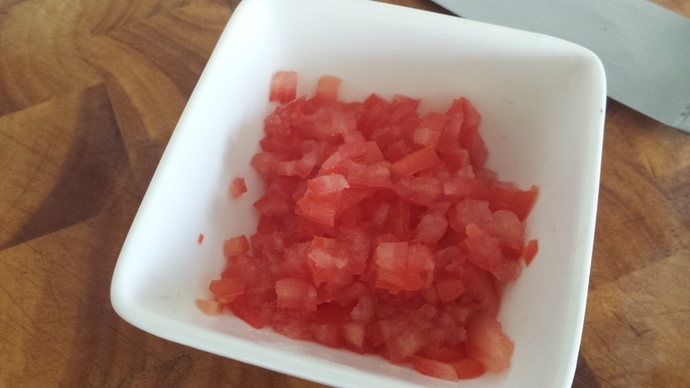 Don't use can tomato's or dried cilantro. Fresh is always best! When picking your avocados, buy ones that are blemish free and when you apply a little pressure they 'buckle' under your fingers. 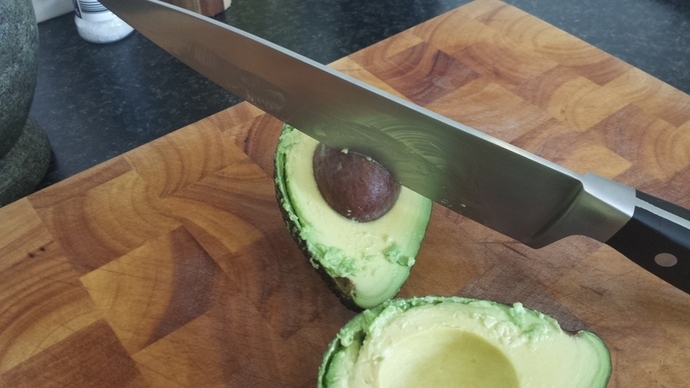 Cut the avocados lengthwise. To remove the stones easily, use a large knife in a cleaver type method into the stone. 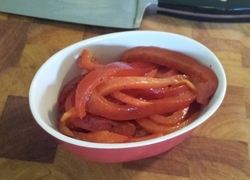 Then you should only need to twist and remove. 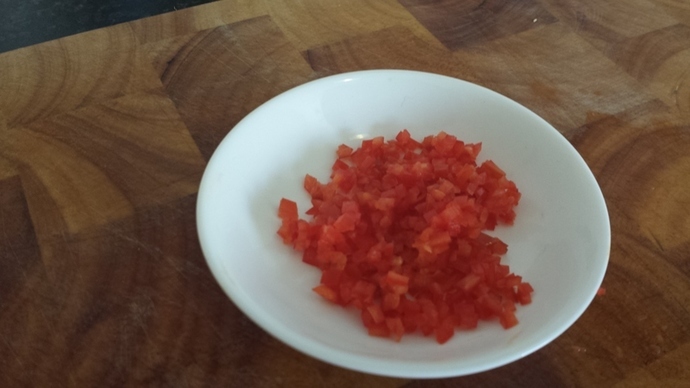 Cut the tomato into quarters, remove the seeds and finely dice. Dependant on your preference for heat, you may either keep some seeds in the chilli or remove them completely for just a subtle kick of heat. Finely dice the chilli. 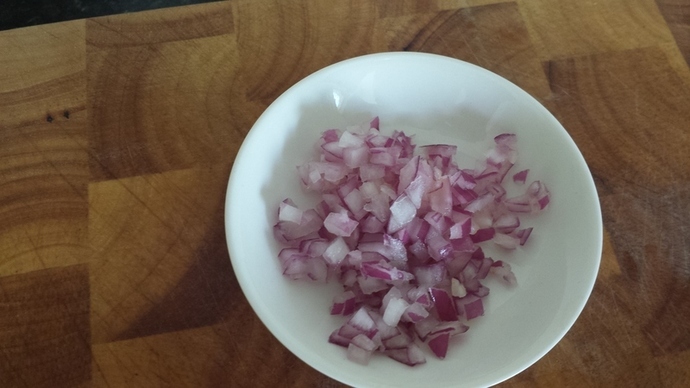 Cut the red onion in half and discard the outer layer of skin. Finely dice the onion. Grab a good bunch of cilantro and chop. Use parts of the stalk as well for a nice extra punch of flavor. Mixed to a good consistency. 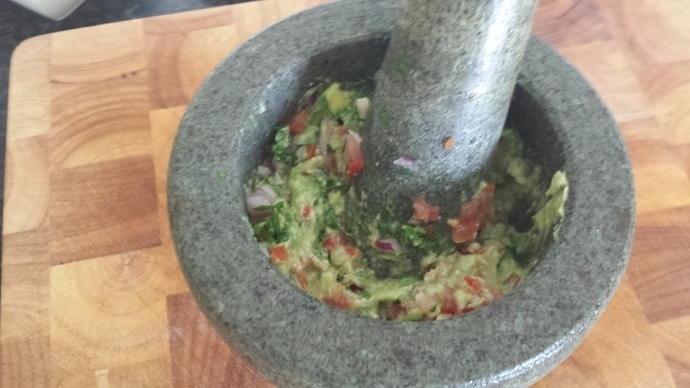 Once you have the texture right, you want to now add the juice of a lime. 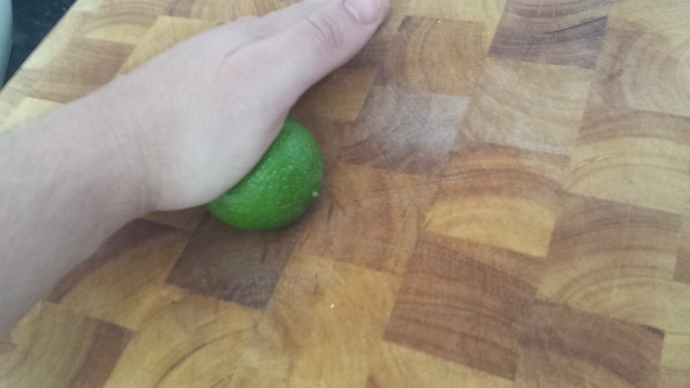 To get the more juice from a lime (or lemon) place the lime on a chopping board and press your palm firmly against it while rolling it back and forth. Lastly, you want to season with sea salt and freshly crushed black pepper.